Getting a new car is stressful. You have to test drive different cars to find the one you like, research prices, find the best interest rates for loans, and you have to negotiate! If you’ve done all that (please, be doing all that. If you aren’t, start now! ), you might feel safe to just sign the contract and runaway skipping and cheering but… that is definitely not the best idea. Reviewing your auto loan agreement before signing your contract needs to be your last step. And we aren’t talking “let the dealer review it and you sign as he flips pages” review--we’re talking full-on, read what is there, take note, make sure everything matches. No one likes reviewing contracts and agreements but when it comes to your auto loan agreement, you don’t want to be signing your name to any surprises. Dealers can smuggle in fees and a lot of things you don’t want if you aren’t careful in your review! Don’t be bamboozled! Let this post guide you in how to review an auto loan agreement! 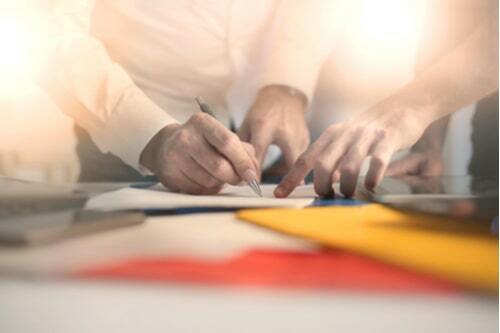 You want to make sure you are reviewing everything when you sit down to sign your contract. 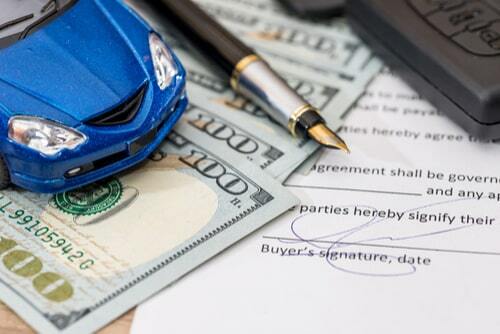 Not only can auto loans auto loans from dealerships come with high markups (sometimes thousands of dollars), but contracts and agreements can also have errors that could affect either the deal or how much you pay. Therefore, it is paramount that you review your auto loan agreement before signing anything. If you aren’t sure where to be looking, don’t worry. We got you. Read on! So, this might feel a little obvious but pretty please double check all your personal information. We are talking your name, your social, your credit score, address, license number--Everything. Make sure everything pertaining to you and anyone who is signing with you is correct in your auto loan agreement. Also, make sure the vehicle information is correct. For instance, make sure you are buying the right vehicle. Make sure the VIN number on the agreement is the matching VIN number to the car you would like to purchase. Dealers will claim they don’t have any fees but you should always double check. It’s not uncommon for one thing to be said verbally then another to be slipped into the contract. Now there are legitimate fees that you should expect to see. These are sales tax, documentation fee, and registration fee. Outside of that though, if you look over your contract and see other charges, you should definitely be asking some questions. NerdWallet recommends saying: “Please help me understand exactly what I will have to pay to make this transaction happen, including any fees to you or to the [department of motor vehicles] and all taxes.” This forces the dealer to go over all the costs. You should also document the price and fees mentioned early on in the negotiation processes. This will allow you to hold the dealer accountable if things don’t match up at the end. Outside of fees, another thing to look out for are dealer add-ons. These are additions that you don’t necessarily want or care about but are snuck on without your permission. Things like added security features, extended warranties, gap insurance, or other installed extra equipment. These additions can cost you money without you noticing if you don’t carefully comb through the auto loan agreement. You can find these add-ons often in a “write-in” portion of the loan agreement where the dealer can add stuff. Now, don’t chicken out if you find them and think “Ah, well. We are here and I can’t back out now. You absolutely can and should! A contract is not binding until signed and you can absolutely ask the dealership to rewrite a section to match your original agreement. If these issues sound reasonable but you are unsure how to really find where you would see them, this section is for you. We will break down the most common places were errors or hidden fees/add-ons can be lurking in your auto loan agreement. These will be the places you should pay particular attention too. Make sure all the info here matches what had previously been agreed on as well as your own information. Errors can often be found here. This is where you will find the specific vehicle information. 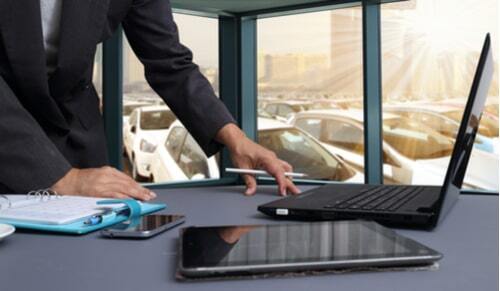 It transfers ownership but also records vehicle details like mileage. Because this form will transfer ownership to you, it is important that you double check your personal information here to keep from future hassles to get it corrected. It would be good if you owned the right car or the right car was owned by you instead of your name with an extra ‘r’ in it. While the above discloses some of the common issues as well as where to find them, you should read every form and understand what you are signing. You should also double check every singled form that has a dollar amount on it. If you don’t understand what a dollar amount is, you should ask the dealer or your lender for clarification. If they put up a fuss, you don’t have to sign. You are in control of the process. They need your signature to make the deal and if they are at the point of a written auto loan agreement, then they are invested and will do a lot to make sure the sale goes through.